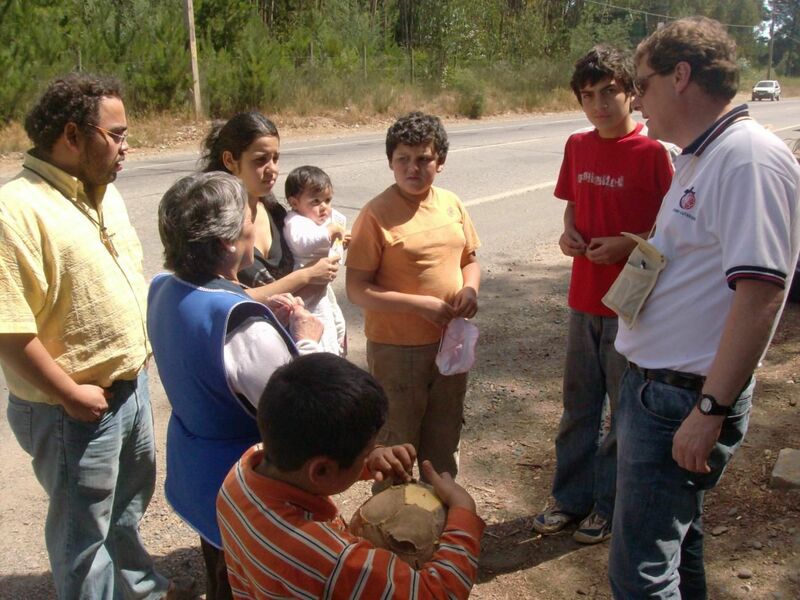 WINNIPEG — The president of Chile’s Confessional Lutheran Church (ILCC) is thanking Lutheran Church–Canada (LCC) for its recent commitment of $10,000 for earthquake recovery assistance. Rev. Carlos Schumann said in a recent email the church will use the money to provide material assistance and touch as many lives as possible. A family receives food, water and a message of encouragement at the entrance of the city of Constitution. The South American country is still dealing with the aftermath of an 8.8-magnitude earthquake that struck February 27. The disaster killed more than 300 people and affected about two-million others. Chile still needs assistance, said Schumann. The ILCC president said he and two other pastors have toured the earthquake zone, which is about 800 kilometres away from the closest ILCC congregation. He said few buildings and houses collapsed, but many were seriously damaged and must be demolished. A fresh start will be tough for those who have lost everything and are living in emergency camps, he added. Schumann said the earthquake has given the church an opportunity to share God’s Word. He said pastors planned to make weekly visits to the earthquake zone but those visits are not enough. Even though the ILCC has received help from its sister church in Argentina, it still needs help to continue its work, said Schumann. Schumann said individuals can find more information on the ILCC’s response by visiting www.ielchi.cl. The website can be read in English or Spanish. To support the recovery efforts, go to www.lutheranchurch.ca/donate or send a cheque made out to Lutheran Church–Canada (Chile Relief) to 3074 Portage Ave, Winnipeg, MB R3K 0Y2.